Dominique Foray is Full Professor at the Ecole Polytechnique Fédérale de Lausanne (EPFL) and holds the Chair of Economics and Management of Innovation (CEMI). He was the creator of the concept and was then deeply involved in European smart specialisation policy between 2009 and 2013. He is a member of the National Research Council (Switzerland); the Advisory Board of the Swiss Economic Institute (KOF); the World Economic Forum’s Global Agenda Council; and a foreign member of the Center of Capitalism and Society (Columbia University, New York). He is also a new member of the Expert Commission for Research and Innovation of Germany. 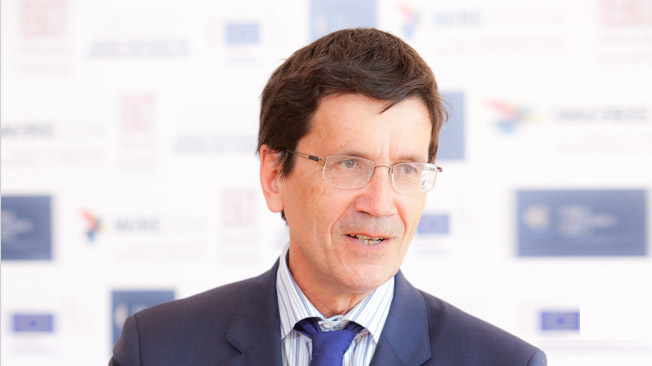 From 2008 to 2011, he served as chairman of the expert group “Knowledge for Growth”; a group of prominent economists created to advise Commissioner J. Potocnik (European Commission, DG research). This is during his service as member of this Group that he developed the concept of smart specialisation (together with P.A.David and B.Hall) that is now a key policy mechanism of the EU (cohesion policy). D. Foray is currently developing evidence-based policy research to try to understand the hidden factors and reasons of the Swiss outstanding position in terms of research and innovation. He is also involved in works about research evaluation and assessment (as part of his job in the Division IV of the FNS). He is recognized as one of the leading academic experts in the economics of innovation and knowledge and economic policy implications of the new knowledge-based economy and has presented many opening speeches and key note addresses in academic and policy conferences on these topics.